A newer, smarter Hitman is on its way to players. Looking forward to Hitman 2? You should be, as there's quite a lot going on in the sequel to the well-received revival of the stealth-based game. 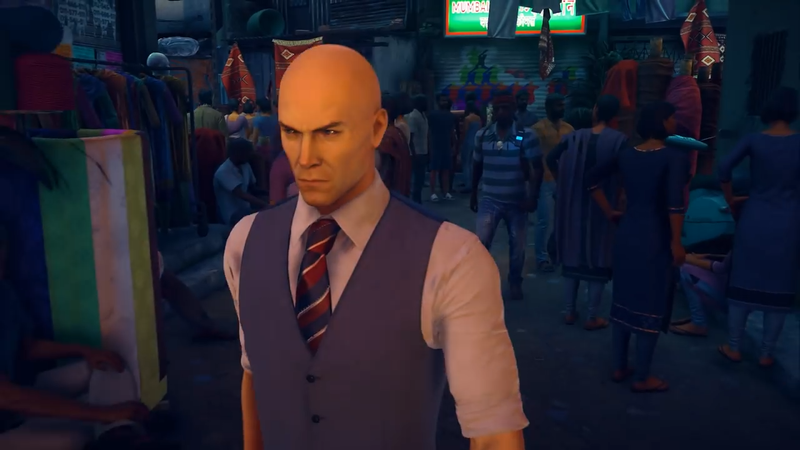 Hitman 2's newest trailer, referred to as Hitman Perfected, shows off a number of changes that have happened since our last run-in with Agent 47. Thee are six different locations to explore in-game, like Hawke's Bay, Miami, Santa Fortuna, Mumbai, Whittleton Creek, and Isle of Sgail, all with their own unique quirks and locales to explore. In these locations you'll be able to choose how you want to go about taking out your targets. The franchise's first multiplayer option, Ghost Mode, will allow for 1v1 online play, and Sniper Assassin, which we've already tried out, offers a standalone cooperative experience that lets two players work together to eliminate their targets. Of course, thats not even counting all the enhanced A.I., a new mini-map, mirrors that can be used strategically, crowds and foliage that you can hide in, and the return of the popular briefcase that fans love. There's a lot to take in, but Hitman 2 is just around the corner, and you can try it all out for yourself when the game launches on November 13 on Xbox One, PlayStation 4, and PC. Make sure you get your assassin skills ready before Agent 47 comes to tag you in. You probably look good in a flamingo suit too, fortunately.